Jacquie Baly, President of BalyProjects, has been a leader in the Houston region's business and policy communities for more than two decades. She began her career as a city and regional planner for numerous entities then served as a gubernatorial appointee on water and wastewater issues and Mayor Pro Tem and Councilmember At Large for the City of Sugar Land. Ms. Baly founded BalyProjects with the objective of providing public affairs and media relations services to clients. 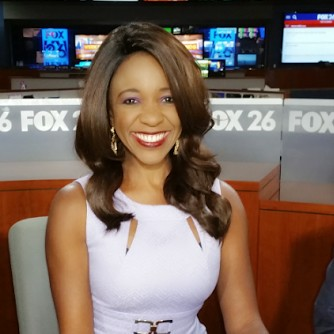 Jacquie is also a political analyst for many television and radio stations including FOX26 (KRIV) and KSEV AM700. Recently, Governor Greg Abbott tapped Jacquie to serve on his University Research Initiative Board. This Board is a top priority for the Governor. Jacquie has served on several boards and is involved with many organizations including: Houston Contractors Association as Governmental Relations Chair and PAC Boardmember, Houston Crime Stoppers, World Affairs Council of Houston as Council Cabinet Member, National Association of Women Business Owners as Policy Director, Crime Stoppers of Houston, The Houston Symphony League, Houston Livestock Show & Rodeo's Corporate Development Committee and Western Art Committee, and the Fort Bend Education Foundation as Vice President and Gala Chair. Jacquie has won numerous awards including Woman of Excellence by the National Association of Women Business Owners, KTRK-13 Woman of Distinction, University of Houston Alumni Association’s “Rising Star for Achievement” award, and Black Alumnus of the Year award, Outstanding Young American by the United States Junior Chamber of Commerce, Houston Woman Magazine’s Most Influential Woman, Texas Executive Women’s “Woman on the Move” and Fort Bend Entrepreneur of the Year. A native of St. Croix, U.S. Virgin Islands, Jacquie holds a bachelor’s degree in Political Science and a master’s degree in City Planning. She has been an Adjunct Professor at the University of Houston for over 9 years and serves as a Faculty-In-Residence at the University of Texas in Austin. Find out more about Jacquie Baly at http://www.balyprojects.com.